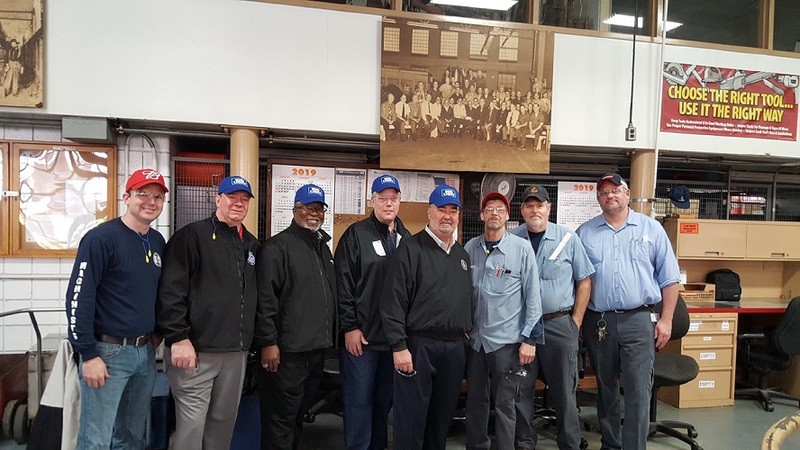 IAM International President Bob Martinez recently joined IAM Midwest Territory General Vice President Steve Galloway in a visit with IAM Local 41 members who work at the Anheuser-Busch Brewery in St. Louis. Pictured, left to right: IAM Local 41 Chief Shop Steward Chris Steinkuhler, IAM District 9 Business Representative Joe Eccardt, IAM Midwest Territory Grand Lodge Representative Larry Young, Galloway, Martinez, IAM Local 41 members Greg Harmon and Ken Heimos, and IAM Local 41 Committee member Cliff Rushton. The post Martinez, Galloway Visit IAM Local 41 Members at Anheuser-Busch in St. Louis appeared first on IAMAW.